Draining Rack is made of Acrylopitrile Butadiene Styrene / Polycarbonate provides an excellent option for post wash draining of tube & bottles in the laboratory. The back plate has 20 holes into which pegs are tightened with the help of screw-nuts. Bottom of the rack is provided with a tray which collects all the waste water drained down which can further be collected in a container via drain tube. This rack does not stain or rust. 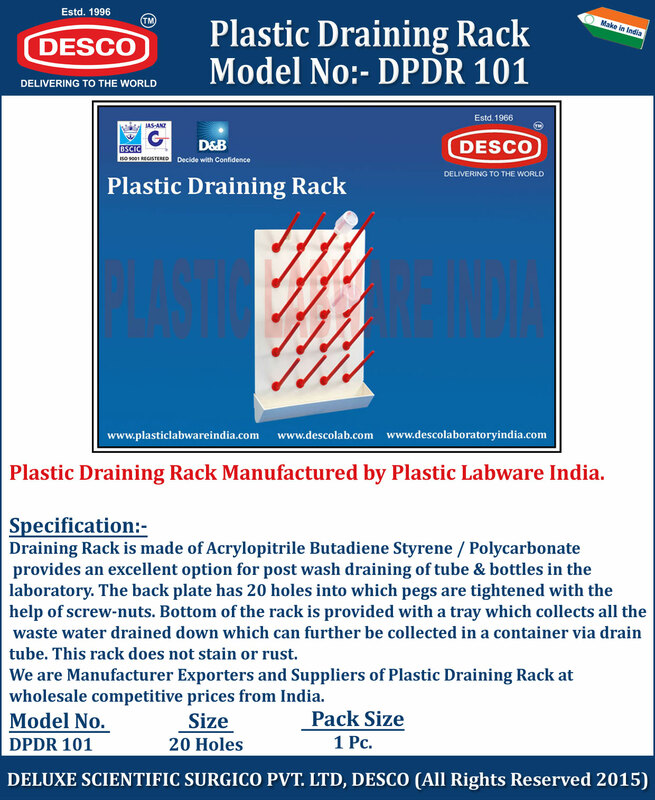 We are Manufacturer Exporters and Suppliers of Plastic Draining Rack at wholesale competitive prices from India. DPDR 101 20 Holes 1 Pc.